Our commitment to each client is to provide superior craftsmanship and a unique experience that will guarantee an excellent experience. We strive to re-create the vision and style of each homeowner through timeless style, unparalleled quality, and unique design. As a team, we work with each client individually to ensure their building experience is one of a kind. Customer satisfaction is the true measure by which we consider ourselves successful. Cameo Homes Inc. has been in business since 1976, and is family owned and operated by the 3rd generation of home builders. We currently build in Summit County, Wasatch County and selected parts of Salt Lake County. Our company is a Licensed B-100 General Contractors providing for Unlimited Residential Size and & Low/High Rise Commercial. Our core concentrations have been Luxury Residential Custom Homes, Estate Homes with multiple buildings, and Residential Development. We are accustom to providing building services for those that live local building a primary residence and those who are out of state and wish to build a second home. In addition, Cameo Homes & Realty is our in house Real Estate Brokerage. We are members of the Park City Board of Realtors & Salt Lake Board. All of the partners are active licensed real estate agents. This allows us to stay informed with current market trends, available properties and to list Cameo built properties for sale. We also represent our clients in the acquisition or sale of real estate. We have been an active member of the Park City Home Builders Association for many years and a Cameo Homes partner currently serves as the 2017 HBA President. Cameo Homes Inc. is a proven, detail-oriented, highly skilled company building Luxury and Estate Homes in Utah as Cameo Homes since 1976. Find out what makes a fine, handcrafted, exquisite home a "Cameo" home. Russell & Co is committed to providing you with the highest quality work on every job, no matter how large or small. We respect our customers and value our relationship with them. We continue to stay on the leading edge of the building industry, and find ways to help our clients get the most out of their project. We know you are trusting us with your greatest asset---your home. We will make it the place you want it to be and love to live in. SAC is the only whole home remodeler in Davis County that’s rooted in four generations of family construction experience and brings to your project the skills, insight and craftsmanship that comes from generations of building homes like yours. A whole home remodel or a home addition is a complex project and for most homeowners can seem a bit daunting. You want to be sure that your contractor extensive experience, the proven processes, in depth industry knowledge and communication skills to ensure your project goes as smoothly as possible — a company that is with you at every step of the journey, from start to finish. Here are just some of the reasons SAC has earned a reputation of quality, honesty and reliability in and around Davis County: • Stellar business reputation earned in nearly three decades of service • Written code of business ethics and conduct • You’ll work directly with the owner • A 3D design/build process that virtually eliminates on the job, budget busting, surprises • Daily job site clean up procedure • Day by day updates and instant communication with us via your private, on-line, project portal • Detailed bids so you’ll know exactly what you’re getting for your investment • 1 year “bumper to bumper” warranty …and much more Very few, if any, home remodeling contractors in the area can equal our experience and our unique ability to understand what needs to be done on your project. This will eliminate many of the common headaches and frustrations people have with a home remodel. We look forward to discussing your upcoming project. With over 12 years of professional experience SALT is Utah’s Premier Basement Finishing Contractor! If you have an unfinished basement, you’ve got access to one of the most underrated forms of real estate in existence. A basement represents incredible opportunities for you. Whether you want another guest bedroom, a personal theater, or something else, a finished basement can take the value of your home and shoot it through the roof. 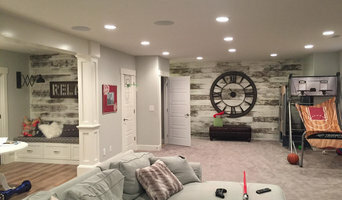 SALT stands out among Utah’s premier custom home improvement contractors because we specialize in basement finishing and building for mid to high-end custom homes. We are a basement contractor that fosters strong, lasting relationships, resulting in exceptionally rewarding building experiences. Stecki Construction Inc. was founded on the principles of integrity, craftsmanship, and accountability. We have more than 85 years of experience in honing these traits while consistently providing Park City with the best service possible. We have a top tier team of professionals who work hand in hand with each of our clients to understand their goals, budgets, and personal styles in order to provide them with the construction projects that they deserve. Building dream homes is what we do best. Whether ordering a custom home, or trying to make your home fit in with the neighborhood, our engineers can draw plans that adhere to regional bylaws and codes, as well as customer ideals. Our expert team of builders are able to provide the best custom builds and remodeling designs. Over the course of our dedicated service, we have developed online software that allows each of our clients to participate in builds and remodels from anywhere in the world. Our incredible team of communicative professionals is able to provide the best construction service in Park City, and our numerous satisfied customers are a testament to our craftsmanship, and attention to detail. For a free quote, give us a call today! 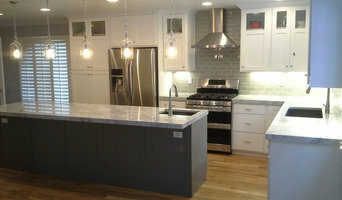 Fine Remodel’s award winning service has gained the respect of home and business owners just like you. Our Clients, awards, and years of quality service will show you that we are the contractor for you. No hidden fees, just an upfront clear vision of your worry-free project! You will love our up-front honest service with little impact on your busy schedule. Don’t know where to begin? We will guide you through the entire process. Before any work begins we will show you exactly what your project will look like and cost then watch with confidence as your dreams turn into reality. Hobble Creek Construction LLC focuses on high-end residential construction, both new construction and remodel in Utah, Salt Lake, Wasatch and Summit Counties. General, or construction contractors, are often known as project managers. They oversee the entire remodeling or new home construction project and facilitate all day-to-day tasks that move it toward completion. A Lehi general building contractor will work with your architect to review plan as you build a house and ensure everything is in place before work is started as well as arrange for permits and necessary inspections. While good local home improvement contractors in Lehi will have the skills to handle certain tasks onsite, such as carpentry, he or she is also responsible for hiring subcontractors for the majority of jobs, such as electrical work, painting or plumbing. In addition, the general contractor should be on-site regularly to inspect the progress and resolve issues. Here are some related professionals and vendors to complement the work of general contractors: Architects & Building Designers, Interior Designers & Decorators, Landscape Architects & Landscape Designers, Kitchen & Bath Designers, Specialty Contractors. Home remodeling contractors are a must for successful completion of a renovation. Because of this, it's essential that you do your homework before deciding on the right general contractor in Lehi as you remodel or build a house. Inspect bids carefully. Was it ready when the contractor promised it? Was the bid for building a home unusually high or low? Each of these things can be very telling: A late bid may reflect timing standards, and an off-the-mark bid could be code for a pricey premium or a deliberate underbid to score the remodeling job. You should call references, carefully read reviews and visit completed projects in Lehi, UT to see if they’re what you expect for your job. Once you do secure your local Lehi contractors, read the contract very carefully to be sure everyone is on the same page. 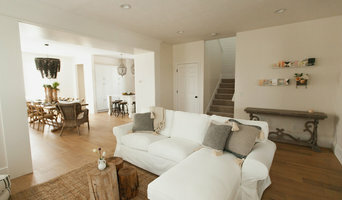 Find a Lehi contractor on Houzz. Narrow your search in the Professionals section of the website to Lehi, UT home contractors. 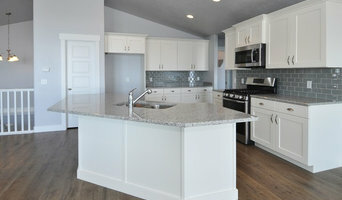 You can also search for photos in Lehi, UT and contact the Lehi general contractor who worked on the project.